Caring for your pet's ears and pet's eyes should be an important part of your regular pet grooming and health maintenance routine. Failure to care appropriately for your pet's ears can lead to chronic irritation, thickening and narrowing of the pet ear canals and a self-perpetuating cycle of pet ear problems for the life of your pet. If the integrity of the ear drum is compromised at any stage, the possibility of middle and inner ear problems is greatly increased. Optimal life-long dog and cat ear care is strongly recommended for your pets. Any time your pet is scratching at its ears, shaking its head constantly or when there is evidence of a discharge from the ear or a foul smell emanating from the pet ear, your pet needs to be assessed by a veterinarian. The correct diagnosis of the problem is essential to allow prompt and complete treatment of the issue. It is also essential that the veterinarian can confirm that the pet ear drum is intact before any product is placed in the ear canal. Many products which can be safely used in the ear canal of pets cannot be used safely if the ear drum is not intact as many products can damage the very sensitive structures of the middle and inner ear. 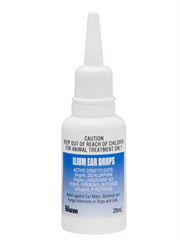 Treatment of pet ear mites, bacterial infections and fungal infections will often involve the use of pet ear drops and/or oral medications. 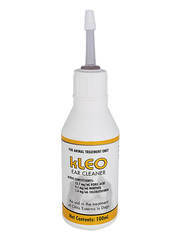 The use of animal approved ear cleansers is often also employed to help remove any debris in the pet ear canal, thus increasing the contact of the treating product with the ear canal itself. 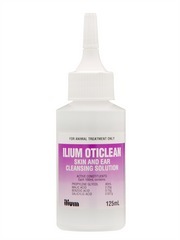 The use of pet approved ear cleansers in animals with no evidence of ear infection or irritation can be a positive way to help reduce the risk of infection from developing. 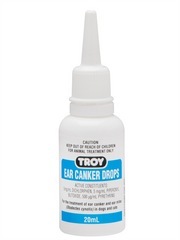 This can be especially useful in dogs with floppy ears where the circulation of air in the pet ear canal is highly restricted with the resulting warm, moist environment being very appealing for the growth of bacteria and fungi. Another aspect of cat and dog ear care is ensuring that the external pet ear is kept clean to prevent any crusts or accumulated dirt from falling into the ear canal as a foreign body and potential source of irritation. The use of pet ear wipes or pet approved ear cleansers for this purpose is very useful. It is important to keep your pet eyes free of discharge and clear. Good pet eye care ensures the cat or dog eyes remain bright and moist as they continually produce lubricant in the form of tears. A pet eye can easily form discoloration and crusts around the inner corner closest to the nose. This can be caused by an excess of tear production or inadequate drainage and allows the accumulation of dirt and debris as well as staining of the fur around the pet eye. The debris can cause matting and skin irritation resulting in infection of the pet eye. 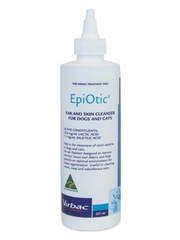 Keep the area clean and clear with pet supplies specifically made for cat or dog eye care. A vet check is essential for a pet with continually tear staining and crusting around the pet eye as it may indicate an underlying problem. To maintain the pet eye area, regularly clip hair and remove crusts gently from the pet eyes using an eye wash solution approved for dog or cat eye car. The solution should be sterile and is readily available from a downtown or online pet supplies store. Always be gentle with such a delicate area. Reddish-brown discoloration can be removed using tear stain removers quite effectively. For dry pet eyes, use natural tears to provide relief from irritation. Remember to always see a veterinarian first who can prescribe any additional pet medications required for treatment and can monitor health improvement. In the case of significant injury to a pet eye, changes to size, shape or color of the pet eye, as well as any any discharge containing pus or a mucoid, should be seen by a veterinarian and treated with appropriate pet meds. Pet eye care and pet eye care should be a regular part of pet grooming to maintain normal bright clear eyes and clear pet ear canals. Any more serious changes to the pet eye or pet ear requires immediate veterinary attention.